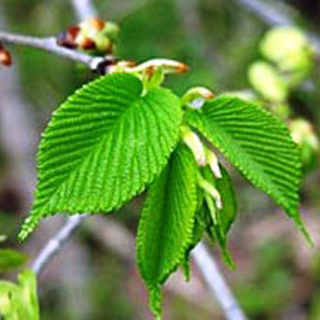 One of the most widely used herbal remedies, slippery elm is native to eastern areas of North America from Quebec to Mexico. It is used to heal and soothe damaged tissues, both external wounds and internal mucous membranes, and is also extremely nutritive, so is used as a food in debility and convalescence. Use as a food in debility or for infants. Mix 1/4–1 level tsp of the powder with a little water to make a paste and add boiling water or hot milk, stirring constantly, to make up to 1 cup of thin gruel. Alternatively, sprinkle the powder on oatmeal or muesli. Use to draw out pus, thorns, or splinters; often combined with marshmallow powder. Mix 1 tsp of powder with a little water or calendula infusion to form a paste, spread on gauze, and apply to boils, Abscesses, varicose ulcers, or suppurating wounds. Take 200mg 3 times daily for gastric or esophageal inflammation or ulceration or chronic indigestion. Take 1 tablet or capsule before a journey to allay travel sickness. Prefers moist, deep soil in full sun. Usually propagated by seed sown in autumn, from suckers, or from semi-ripe cuttings in summer. Not generally grown in gardens. Susceptible to pests, fungal infections, and Dutch elm disease. Strip the inner bark from the trunks and branches of mature trees in spring.